I’ve been watching the recent Punk Britannia documentaries that have recently been aired on the BBC, and whilst to a large extent I’ve enjoyed them, there have been quite a few omissions that have niggled. A glaring one is the absence of any reference to the Stranglers who were as much a cornerstones of the nascent punk movement as were the Pistols and the Clash. Worse still it seems to imply that punk was a curiously London-centric affair and other than the Buzzcocks or Stiff Little Fingers very little happened out in the regions. Nothing could be further from the truth. The fact is most cities had a thriving punk scene that were full of little bands mostly brought into being after listening to the astonishing 1st album from New York’s Ramones (another influence not recognised by Punk Britannia for the part they played in British punk). 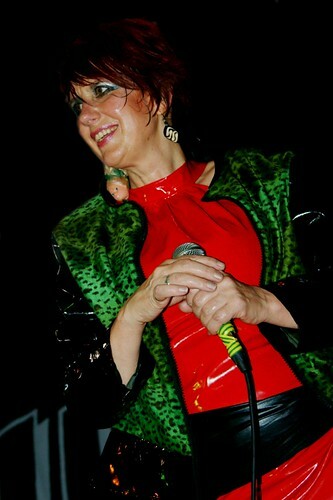 Which brings me neatly to one of punk rock’s great unsung heroes; the Rezillos. Formed in 1976 up in Edinburgh, this wonderful band released arguably one of the great punk albums in ‘Can’t Stand The Rezillos’, and now, after being away for far too long, they’ve made a rare visit to Leeds to bring their unique brand of glam punk back to life. 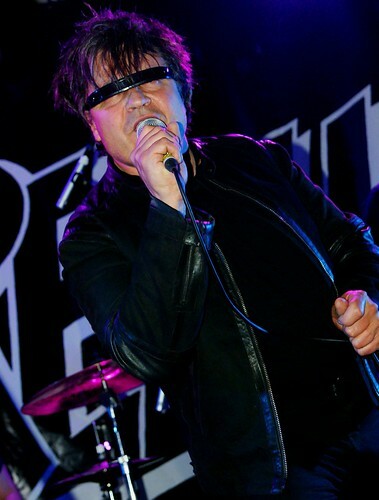 However, before the Rezillos grace the Brudenell Social Club stage, The Kingcrows are given the job of livening up the steadily growing crowd with their inimitable style of dirty punk rock n roll. It really is nice to see a band throw themselves completely into their performance, especially when it’s one that possesses an arsenal of really strong tunes. ‘Party’ and ‘Renegades’ from latest album ‘Up Before The Beak’ get fired into the audience with very pleasing results. It’s an excellent performance by a very fine band, one that was full of vitality and panache and by the end of their set the crowd show some real appreciation for The Kingcrows lean mean rock n roll. The last time I saw the Rezillos play live was when they supported their Sire Records label mates The Ramones at the Manchester Apollo in 1977, so I’m well overdue reacquainting myself with the band. Still based around original members Fay Fife and Eugene Reynolds the band stride onto the stage and immediately give the crowd a good towelling with a lively rendition of single ‘Destination Venus’ In fact the band play every 7” they’ve released from ‘I Can’t Stand My Baby’ to the last year’s ‘Out Of This World’. As front people go, Fay and Eugene are two of the best. Eugene looks dapper dressed in black and trademark wraparound shades, while still dazzles in sixties inspired dolly-bird glamour. 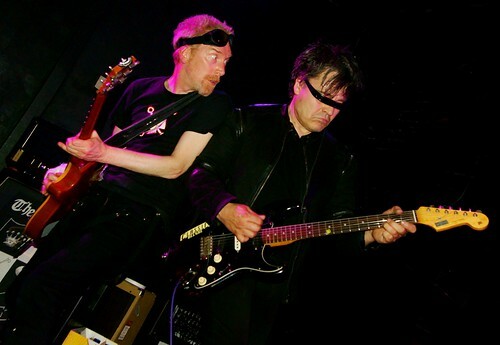 On occasion Eugene straps on a guitar to give a helping hand to latest Rezillos axe hero Jim Brady, but even without Eugene’s embellishments the band are never less than feisty and motor through the set at full throttle. Though in the main the crowd consists of the older end that doesn’t prevent them shaking a leg when the music gets good and hot. In fact it gets quite raucous when the band blast through their biggest hit ‘Top Of The Pops". They return briefly with the final song of the night ‘Someone’s Gonna Get Their Head Kicked In Tonight’ Thankfully nobody does. If this performance is anything to go by then I can only hope The Rezillos continue to tour and play their music for everyone who wants to listen. This band can be guaranteed to always put in a great performance with a collection of tunes that still sounds strong. 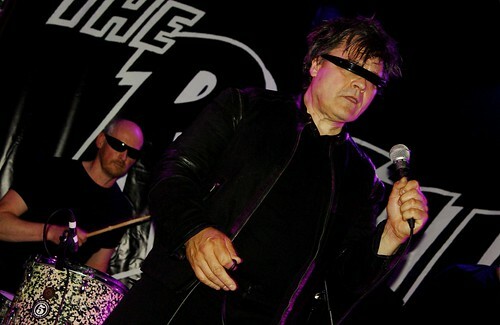 These are exciting times for the Rezillos and I hope they don’t decide to call it a day any time some. 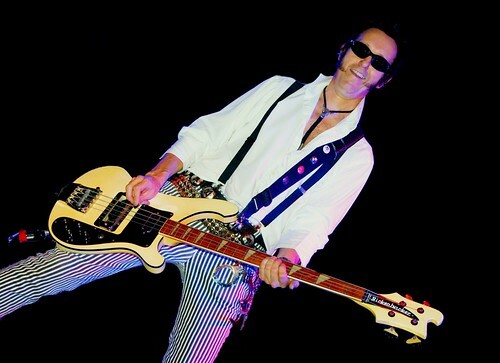 It’d be a crying shame if we lost one of the true originals of punk forever. I Can’t Stand My Baby.